Aaron is neither loud nor OchoCinco obnoxious, but with this guy there is definitely confidence to spare. He’s got this cocky half-smile and indescribable swagger that does all the talking. Yes, he was the man in the college and yes, he has always gotten most of the babes around Green Bay. But the last few years, he had been proving all the doubters right. He heard the whispers. He knew what people were thinking. I know it affected his confidence. So it comes a bit of surprise that during the Greenfield Packer party last night, my buddy Aaron Jorgenson finally finished an entire tub of Shedd’s Spread Country Crock…in the first quarter. It started out as a bet between two angry, drunk, competitive guys (Aaron and myself) after the Packers lost to the Falcons in the playoffs a few years ago. We challenged each other to an absurd bet neither of us thought the other would ever achieve. My gauntlet to Aaron: finish an entire tub of Country Crock in one sitting with no puking. Until this point, Aaron had failed on nine different attempts using a different strategy each time: butter bars, loaf of buttered bread, frozen butter pops, butter shake… you name it. This was serious business. I put Tanker in charge of the grill, grabbed a sixer and took a seat next to Aaron. As Crosby kicked off, I gave him the go-ahead and he went to work. Like mortar for a foundation, Aaron swiftly scooped out two spoonfuls of Country Crock and scraped them into each cheek. Every few seconds, he tilted his head back and swallowed. Within minutes he was butter-loading his cheeks again. It quickly became evident that his strategy was twofold: 1) Gillespie the butter and 2) use natural body heat to melt it. 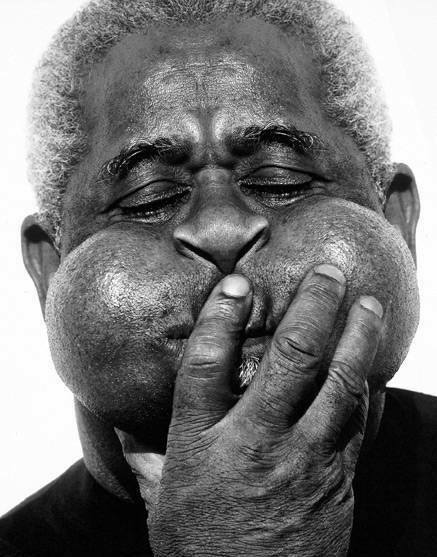 Unlike chipmunking (where you jam as much food into your cheeks during the last seconds of an eating contest), to “Gillespie” something is to wad up the food into your cheeks so much that you look like the great trumpeter, Dizzy Gillespie. Some eaters do this to compress the food; others do it to take breaks; still others do it to pretend they are popping zits. Aaron Jorgenson, on the other hand, did something I never would’ve considered. His essentially used his mouth as a heat lamp, causing each scoop of Country Crock to melt, seep between his teeth and slide down his throat like a human butter drain. Genius. By the time Grant scampered into the end zone, Aaron was licking the tub clean. He pounded down the empty tub and tried to get comfortable, butter-drunk as he was. I was so impressed, I almost said he should go home and rest, but I had to ensure he didn’t throw up. Like the good sport he is, Aaron waited until the game was over before leaving. The only downside to the whole achievement was that he endured (and is still enduring as of this writing) one of the worst butter headaches known to man. He closed his eyes early in the 4th quarter and moaned like a dying cow the rest of the night on the couch. He missed both Jennings' TD and Harris’s game-clinching interception. But he finally did it. And that’s something no one can ever take away. Way to go, Aaron! I suppose this means you’ll want me to teach that Curves for Women class now. Wow that is pretty impressive!! It was like watching an accident. Couldn't NOT watch. Apparently he has been in the bathroom most of the day.